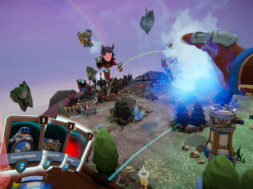 Vertigo Games and Wolfdog Interactive have announced that they will be bringing the VR strategy game Skyworld to PlayStation VR early next year in 2019. Vertigo Games is home to other big VR titles such as Arizona Sunshine that brought the zombies to life in the virtual world. 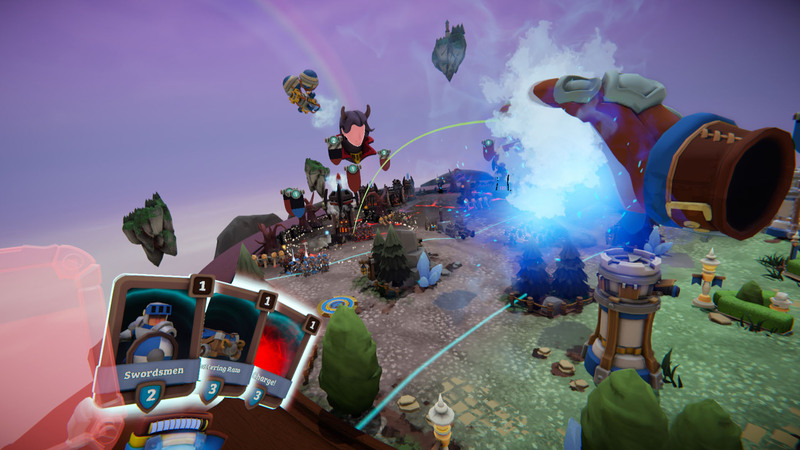 For those unfamiliar with the title, Skyworld is a strategy game where you will manage your kingdom in a turn based VR world before jumping into real-time battles. The game offers a story-based campaign, skirmish mode & online cross-platform multiplayer. Another unique aspect about the game is that you are able to play it on a virtual board with cards that help increase your forces against the enemies. Skyworld was first originally released on October 17, 2017 for HMDs such as Oculus Rift and HTC Vive. But now, it will be heading its way to PS VR. We expect the price point to be around $20 – $40 depending on how the company wants to launch the title on the popular platform. You can purchase the game today for the Oculus Rift and HTC Vive for $19.99 on Steam today.